Linda Keller, Office Manager, comes to us with a diverse range of skills, valuable experience, and a strong commitment to community and non-profit work. Linda is a positive and optimistic person with experience connecting residents and designing educational programs. Linda has a background working as an educator, program coordinator, and adult technology instructor as well as wearing many hats as an office manager. She has worked in previous roles at the Children’s Home, The Women’s Connection, Elder High School, and BANDI Wear. Linda also served in the Peace Corps where she built a strong foundation in working toward solutions. Linda received her BFA in Drawing and Ceramic Sculpture from the prestigious college of Design, Architecture, Art & Planning at the University of Cincinnati, and an M.Ed from UC’s college of Education. Linda lives in College Hill , and we are thrilled to have her on our team. This summer, Groundwork Cincinnati-Mill Cree's very own Tanner Yess will be honored with the prestigious Murie Spirit of Conservation award as a Rising Star. Please join us in congratulating Tanner, who shows incredible passion, vision, and commitment to his work! Find out more about the award and the ceremony later this summer at the link below. The Mill Creek is the star of an article published today in Science Over Everything. The article discusses the creek's fascinating past, its comeback, and the education, restoration, and workforce development work going on throughout the watershed. It includes a video and resources for teachers who would like to use the information in their classrooms or to prepare for a program with Groundwork Cincinnati-Mill Creek (The Mill Creek Alliance). Check out the article here. The Mill Creek Alliance (Groundwork Cincinnati and the Mill Creek Watershed Council of Communities) is featured on the front page Cincinnati CityBeat online this week! Keep an eye out for the print edition in the coming days. Tanner Yess, Iyah Brown, Dave Schmitt, Michael Miller, Bruce Koehler, and Jim Moyer discuss about the past, present, and future of the watershed. The article features the Green Corps and various restoration projects and spends some quality time with the Mill Creek Yacht Club. Mill Creek is the story of the the opportunity that exists when we start to see ourselves as a part of our environment and work to make a healthy stream something that can exist harmoniously with, and be an asset to, an urban environment. Groundwork's Green Corps has been working with Covington Parks & Recreation and Plumb Hill Ecological Services on the Licking River Greenway and Trails this week! We have been helping to remove invasive species along this wonderful trail. The team has been working on cutting back winter creeper this week. Also check out the great write up from the Covington, Kentucky Government at the link below. The Mill Creek Alliance is hiring an Office Manager! Please find the full job description at the link below. Groundwork Cincinnati-Mill Creek and the Mill Creek Watershed Council of Communities came together in a public ceremony to celebrate their merger and become the Mill Creek Alliance. The board chairs arrived by canoe along with staff and members of the Mill Creek Yacht Club. Groundwork's Pat O'Connor came up the creek and the Watershed Council's Steve Johns came down the creek, from their organizations' respective historic territories Thank you to all who came out to celebrate these two organizations and the new one that now has even greater capacity to impact change for the Mill Creek Watershed. For 24 years, Groundwork Cincinnati-Mill Creek has worked to promote the health of the Mill Creek, its watershed, and its communities. We're proud of our many accomplishments, evident from the thousands of youth who've taken part in our environmental education and green workforce development programs, the creation of the Mill Creek Greenway Trail, our engagement of the Mill Creek communities, as well as the return of fish and wildlife, improved flood control, and higher water quality. Yet, we know there's still much to be done. For nearly a year, we have explored the possibility of combining our efforts with an equally strong, like-minded organization. After extensive consideration, the boards of Groundwork Cincinnati and the Mill Creek Watershed Council have decided that the two nonprofits will merge. The new organization will be called the Mill Creek Alliance. Its mission will be to enhance the environment and quality of life in the Mill Creek Watershed. Founded in 1995, the Mill Creek Watershed Council has forged an alliance of political jurisdictions, government agencies, business associations, industry, academia, environmental organizations, and recreation groups to work together on improving the watershed. In recent years, the Watershed Council has focused on stream restoration, stormwater management, water quality monitoring and watershed planning. The combined organization will be able to speak as a single, strong, vibrant voice, giving us greater leverage in attracting local and national support. A merger makes sense operationally because of the complementary strengths of our two organizations. We are retaining all staff members and all programs because we see no major overlap between the two organizations. Merger at a Glance contains more information. If you have additional questions, please let us know. We invite you to celebrate the next chapter in our history at a special event with the Watershed Council on the banks of the Mill Creek. Please join us on Friday, March 2 at 11 am at Salway Park, 4250 Spring Grove Ave. near Crawford Avenue in Cincinnati. Use the southernmost entrance for the Mill Creek Greenway-Salway Trailhead near the Old Timber Inn. Registration is encouraged but not required by calling the Groundwork office at 513-731-8400 or emailing dave@groundworkcincinnati.org. 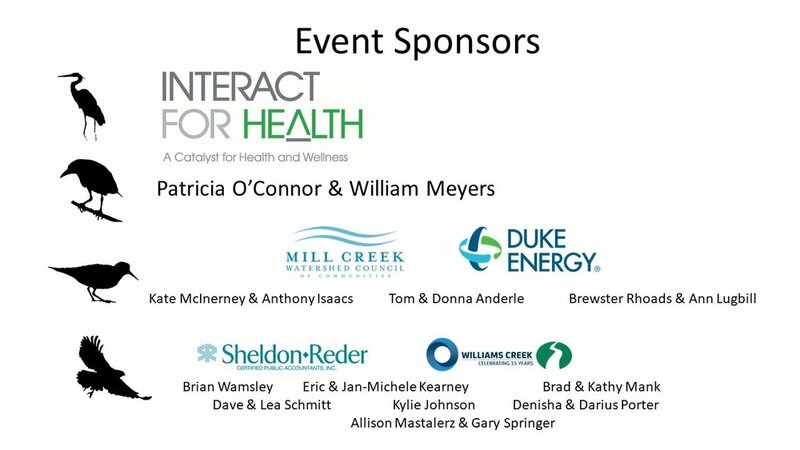 Thanks to the hard work and support of organizations, businesses, and countless individuals the Mill Creek is becoming an asset to the greater Cincinnati economy with opportunities for recreation and jobs. Fish, birds, native plants, and other wildlife are are enjoying the efforts, too. On Thursday, Nov 16th, friends of Groundwork Cincinnati gathered at the American Sign Museum to Celebrate the Mill Creek's Revival. The evening's program honored environmental pioneers Stan Hedeen, a founder of Groundwork Cincinnati and author of The Mill Creek: An Unnatural History of an Urban Stream, and Mike Fremont, a founder of both American Rivers and Groundwork Cincinnati. Current Groundwork executive director, Dave Schmitt, along with former executive directors of Groundwork and the Mill Creek Watershed Council of Communities, Robin Corathers and Jen Eismeier, joined Bob Irvin, president of American Rivers, to strike the Mill Creek off 1997's list of most endangered rivers. Guests enjoyed wonderful food from Sleepy Bee and the boogie woogie stylings of Ricky Nye. Donations made at the event will allow Groundwork to purchase a used truck to transport supplies for restoration projects, such as invasive species removal along the Mill Creek Greenway Trail. Groundwork Cincinnati would like to extend a heartfelt thanks to all who attended, purchased tickets, donated, and sponsored the event and to everyone who worked so hard to make it happen. There would be no celebration without you! American Rivers recently published an article featuring Groundwork Cincinnati and the Mill Creek Watershed Council of Communities about the revitalization of the Mill Creek over the last 20 years. Check it out here! The Groundwork Cincinnati Green Team recently returned from a work service trip to Glacier National Park sponsored by Groundwork USA and the National Park Service. While there the youth worked alongside the Groundwork Indianapolis and Groundwork Milwaukee teams. Their work while in the park was focused in two areas. The first was historic preservation of some of the park's iconic cabins and maintenance of their seasonal worker dormitories. The second was the removal of invasive plants from which the park is under threat. Both of these focus areas put to use some of the many skills the youth have gained while working for their Groundwork trusts throughout the summer. While at Glacier, the participants were able to experience the park in all its grandeur. 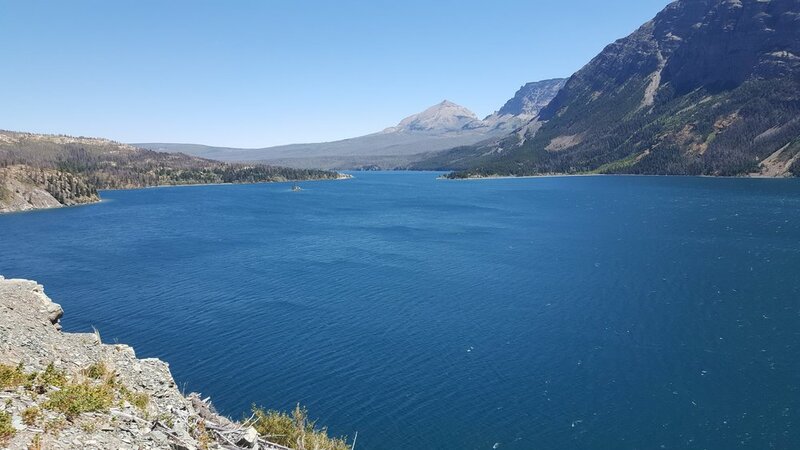 They hiked the iconic Highline Trail, crossed over the continental divide at Logan Pass, drove the Going-to-the-Sun Road, kayaked on Lake McDonald, went whitewater rafting on the Middle Fork Flathead River, participated in guided star gazing, and learned about the ecosystems of the park. These experiences helped solidify the youths' appreciation and passion for the natural world while also putting into perspective the work that they are carrying out along the Mill Creek. This was a once-in-a-lifetime experience (some participants had never been on a plane before and the park will be glacier-free by 2030) that reinforced how important natural spaces are in urban environment. On Thursday, November 16, 2017, 6:00-10:00, we want to recognize the 20 years of commitment and efforts to revive the Mil Creek. This has been pioneering work made possible by you and many others in our community. And we have an environmental milestone to celebrate! There's no shortage of edible fruits growing on native trees and shrubs all over Northside! Local sustainability advocate and professor at the University of Cincinnati, Alan Wight, took the time to map out the locations of all of the edible fruits in Northside, including our very own Freedom Tree Edible Forest Garden. Check out the map below to find some near you! If you have any questions or are interested in owning your own 2 x 3 poster print, contact Alan at wightra@ucmail.uc.edu. Groundwork Cincinnati-Mill Creek is pleased to welcome a new relationship with our sister organization, the Mill Creek Watershed Council of Communities. Our complementary missions empower us to coordinate and leverage our efforts to better serve the diverse needs of urban and suburban Mill Creek stakeholders. Watch this space for future collaborative and joint efforts and check them out here! Over spring break six of the Green Team youth traveled with Groundwork staff members to Muscatatuck National Wildlife Refuge! This protected area in Indiana is known for being a haven for a variety of animals- some that stay year-round and some that are just passing through during their long migration. During our stay, we planted over 1,000 prairie grass plugs at a prescribed burn site, helped build a footbridge on the Turkey Trail, paddled around one of their many marshes, and did all the bird watching we could handle! We are excited to work with this refuge in the future! The Green Team Goes to Texas! The Green Team spent the past weekend at the Lone Star Trail Building School in Dallas, Texas. They learned several important skills needed to construct multi-use trails, including how to design trail systems and how to use an inclinometer to map out trails and prevent erosion. They also got to work with members of Green Teams from several other Groundwork Trusts from across the country! Stay tuned to see how they implement the knowledge gained from this program on our own trails here in the Mill Creek watershed!